Bayside Engineering’s services on this project began at the planning phase, continued through to the design development stage and concluded with Final Acceptance of the project after providing construction administration and conducting a successful field inspection. The project objectives were to design a traffic signal to improve safety and efficiency for vehicular and pedestrian activity, taking into account the peaking characteristics of the adjacent IRS facility in the Town of Andover. Specific items of work included performing an instrument survey to assemble design base plans. Traffic volume data and accident history were used to perform a complete analysis of the intersection. The analyses results with recommendations were compiled in a Functional Design Report submitted with preliminary design plans to MassDOT and the Town of Andover for approval. Intersection design improvements included: roadway widening to construct protected left turn lanes for safety and additional capacity; traffic signal installation for control of vehicular traffic; pedestrian signals with a protected phase for safety of pedestrians; construction of ADA compliant sidewalks and wheelchair ramps to improve pedestrian accessibility; and the installation of new signs and pavement markings. Throughout the design process Bayside coordinated with MassDOT and Town officials to participate in design review coordination meetings. Temporary right of way documents were necessary in order to construct the proposed improvements. Bayside’s responsibilities included project planning and design development of the construction bid documents that included final design plans, special provisions and an itemized construction cost estimate (PS&E). 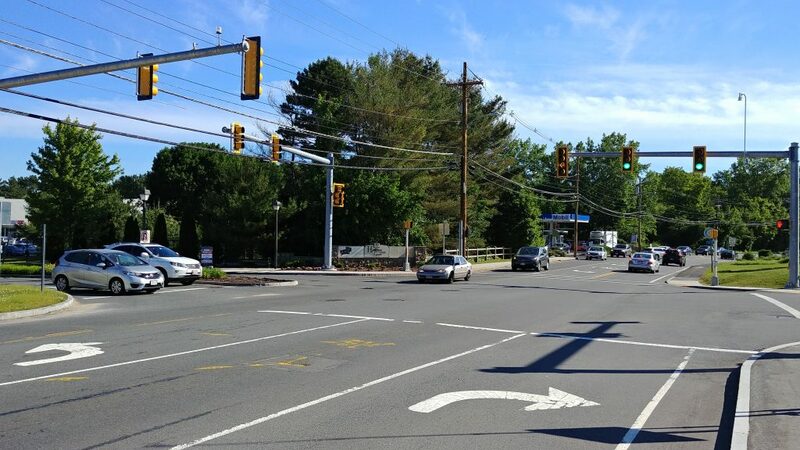 Responsibilities continued through the construction process with review, approval and distribution of shop drawings; provide advice during construction and evaluate subsurface conditions for appropriate foundation design of traffic signal structure. 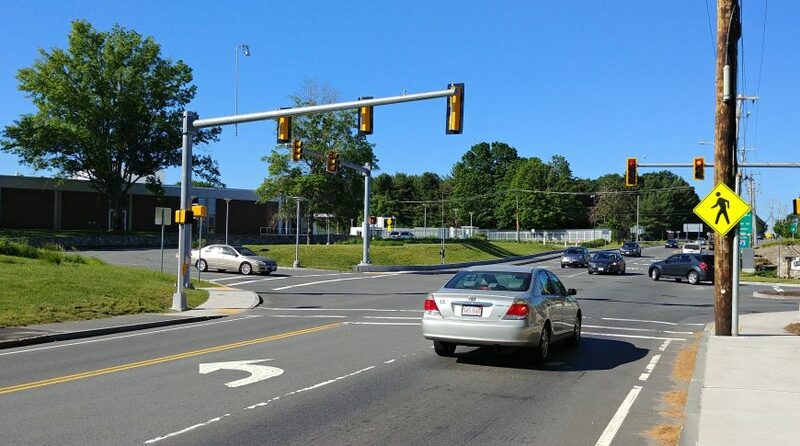 Bayside conducted the final inspection of the traffic signal installation to certify approval for acceptance by MassDOT and the Town of Andover.